Capital campaigns are both wonderful and stressful times in a nonprofit. Here are six lessons I've learned after 30 years on the capital campaign trail. 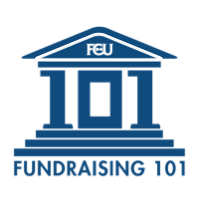 While preparing for a fundraising campaign can be a daunting enterprise, internalizing key lessons learned will help ensure your success. The first is that successful campaigns are not about money! Instead, they are about mission, vision, and the long-term engagement of those who can have a transformational impact on your organization. Prior to beginning a campaign, a not-for-profit MUST have a vision for its future, which is typically realized through strategic planning. This critical exercise involves revisiting and confirming one’s mission; developing a clear sense of where you want to be in the next three to five years; fully exploring, visualizing, and embracing that destination; and clearly articulating how and why arriving there matters and is different from the status quo. Once one’s destination is clear, the next step is determining the strategies your organization will deploy to get there and quantifying each in terms of required people, programs, and facilities. Suddenly, you have dollar goals that are actually meaningful, since each can be directly linked to an implementation strategy that leads to a well-defined destination. Now you can develop your story, or case for support, in an evocative and compelling way, so that those hearing and telling it will be inspired, motivated, and clear as to why they should care. The case articulates your organization’s uniqueness, its mission, and the needs being addressed. Since a significant portion of all campaigns comes from leadership gifts, it pays to have some of these prospective donors help develop the plan and story. Ultimately, it will be easier to invite key prospects to invest in a vision they already share than to try and “sell” them yours. "You can't make a good pickle by squirting vinegar on a cucumber—it has to soak awhile." When certain that prospects are fully engaged, it is time for solicitation, ensuring as fully as possible that the right person asks them for the right amount, at the right time, for the right purpose. The final step in the cycle is stewardship, or thanking donors in meaningful ways and creatively showing them the impact of their current and cumulative giving. In addition to determining a strategic destination, board members ideally pledge 20% of the goal and then help raise an additional 20%. It comes as a relief to many when they hear that this does not necessarily mean they have to ask for money, although with good training some are ultimately able to do so. Rather they can help by identifying leadership prospects, opening doors, building relationships, and creatively stewarding donors. Key to a board member’s fundraising success is properly setting philanthropic expectations during the recruitment process. And, as suggested above, each must give meaningfully. After all, board membership is the highest form of not-for-profit engagement, and if members are not giving at their potential, then either they have not been properly engaged, or they may not be the best fit for your organization. Ultimately, campaign success depends upon good planning, including translating strategic initiatives into campaign goals; testing them through a feasibility study with key prospective donors; assessing internal readiness; soliciting key donors during a “silent phase;” and when a majority of the funds are pledged, broadening your outreach by launching “general” and other divisional gift efforts. Keep in mind that 90% or more of your goal will likely come from the top 10% of donors, and that approximately one-third of the funds will come from the top ten gifts and another third from the next hundred gifts. A campaign is like putting the roof on your new house: it will only serve you well if the foundation and walls that support it have been properly constructed and maintained. Good planning and maintenance prior to a campaign includes shoring up the leadership components of your annual fund; viewing philanthropy as a continuum; developing a communications plan; strengthening your board; and devising strategic engagement opportunities for your very top prospective donors. 6. Congratulations – You Deserve It! "Fund raising has been a part of the American landscape since the birth of our nation. Thousands of colleges, hospitals, museums and human service programs have come into being because individuals have cared enough to go out and ask. If you find your enthusiasm ebbing, remember, as a participant you are in the fine company of sincere, dedicated, and optimistic people everywhere who are willing to work tirelessly for a better world. Not many can say the same." Not many, indeed! So keep up the good work; remember the lessons learned over decades of campaigning; motivate yourself to inspire others; and have great fun while doing so. And each time you do get to “yes,” and your leadership donor thanks you for having provided the opportunity to participate—take a moment to reflect that you really have done it right. These are just some of the lessons gleaned from over 30 years on the campaign trail. I hope you'll join me for the session The Top 10 Lessons Learned from 30 Years on the Capital Campaign Trail over at The Nonprofit Academy. You'll learn more about these lessons, four more lessons, and you'll earn 1.25 CFRE credits!